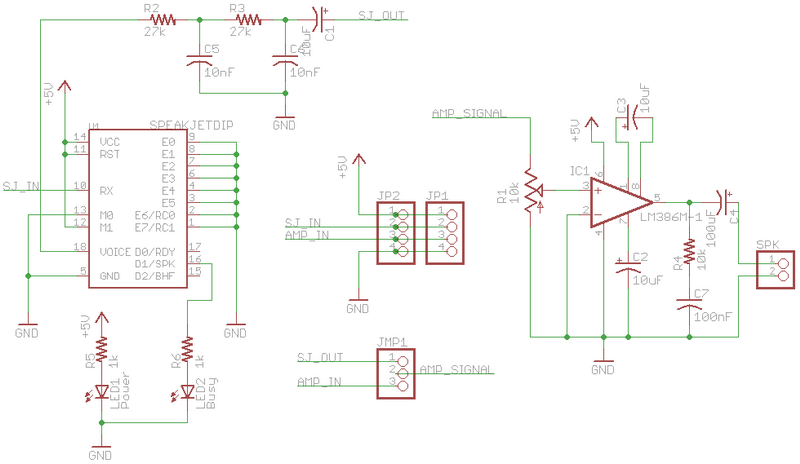 This is the first in what, hopefully, will be a series of quick-to-connect prototyping boards. 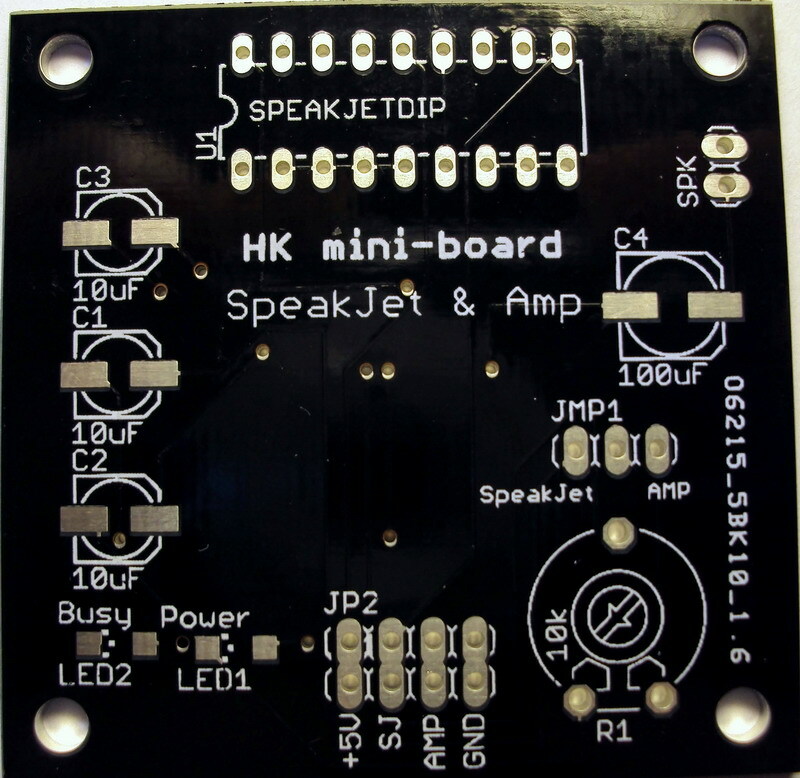 This board is a prototyping board for quickly prototying projects using the SpeakJet speech synthesizer, or when you need a small audio amplifier. 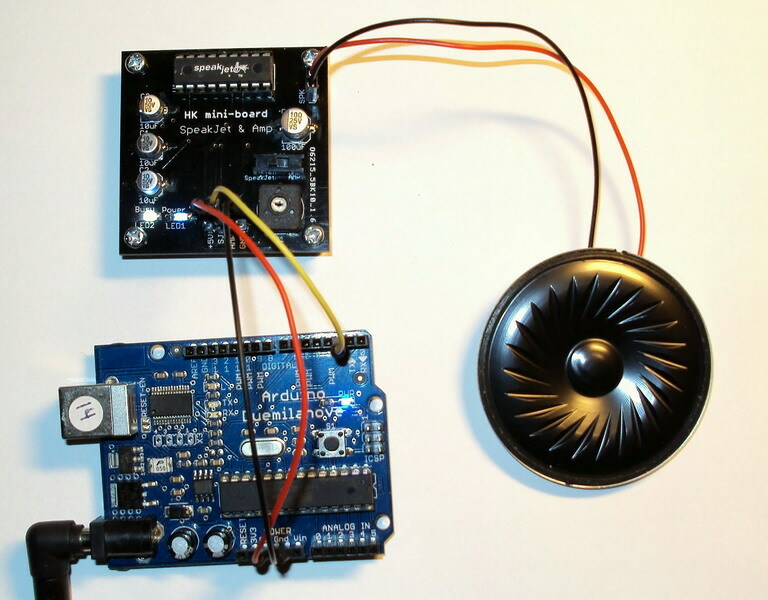 It features an on-board potentiometer for volume adjustment, and a switch/jumper to select where the LM386 gets its input-signal from, SpeakJet chip or the AMP input pin. 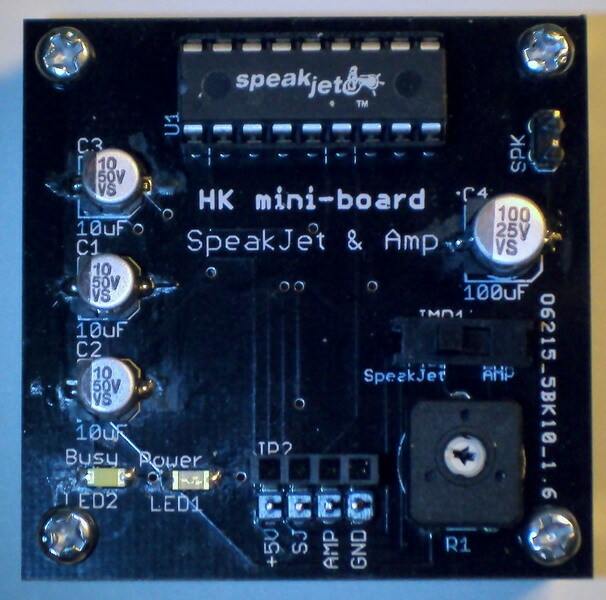 It also has a busy LED for the SpeakJet chip. 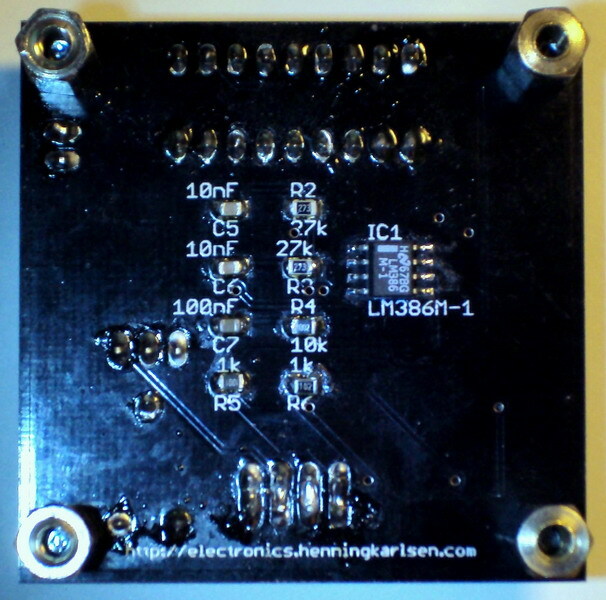 The LM386 is set up for 200x gain. To use 20x gain you can simply leave C3 unsoldered. 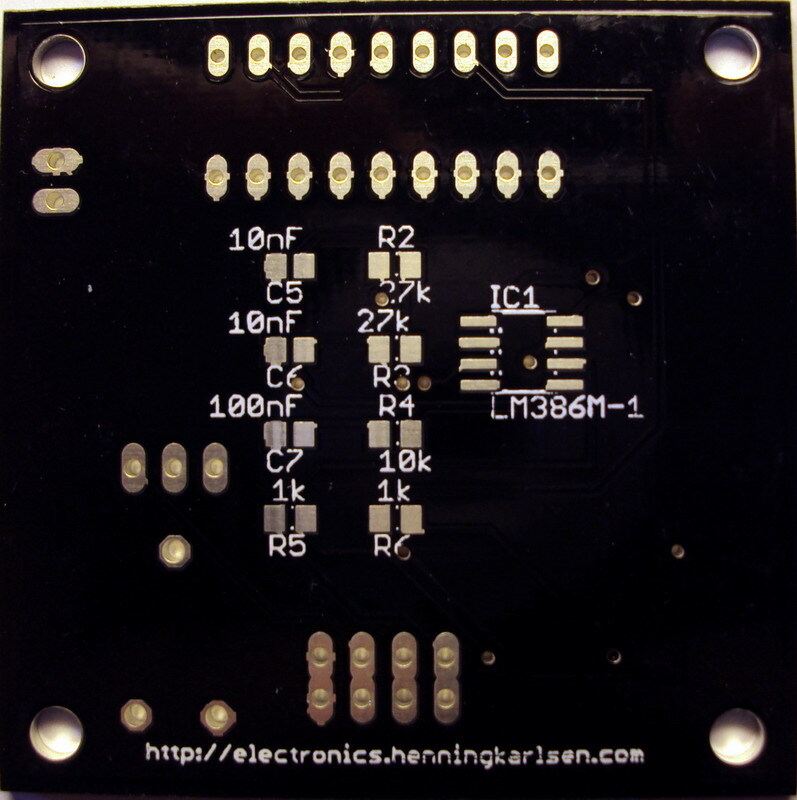 This board contains mainly SMD parts, but is still fairly easy to solder.